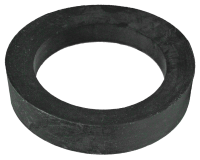 For Pre-A models, front -- This seal goes over the trailing arm tube and seals against the phenolic bushing. It keeps dirt out of the bushing and grease from exiting. 4 are required per car.